GARBAGE!!!!!!!!!!!!!!!!!!!!!!! Photo via Getty Images. LaGuardia Airport, a Satan-spawned hell swamp disguised as a major transportation hub for America’s largest city, appears to have a little springtime mosquito problem. 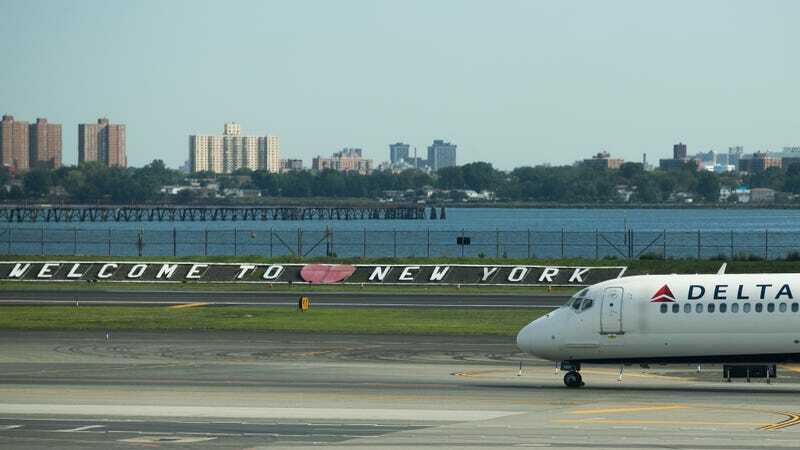 Skeeters have always been bad at La Guardia, but some believe that the airport’s massive, $4 billion reconstruction has led to an even bigger and more aggressive insect population this year. Despite having had the misfortune of flying out of this misbegotten garbage heap two weekends in a row, I have not personally suffered any mosquito bites. However, I have seen a yellow plastic tarp with a hose in the middle that seemed to be collecting water leaking from the ceiling in a terrifying preview of our Mad Max future, as well as a line for taxis so long you’d think they were giving away free Supreme merchandise. What a wonderful microcosm of America’s apparent inability to fix anything for its future generations!